The newly launched smarphone is one of the most affordable 4G smartphones in the Vibe series of the company. It is made up of polycarbonate body with round corners. It features a 5-inch touchscreen display with 854×480 pixels. It comes with a price tag of Rs. 6,999. A 32-bit Snapdragon 210 quad-core processor clocked at 1.1 GHz processore powers the device. It sports 1GB RAM with 16 GB internal memory. It is available with only 8 GB at selected markets. However, both are expandable upto 32 GB using microSD card. 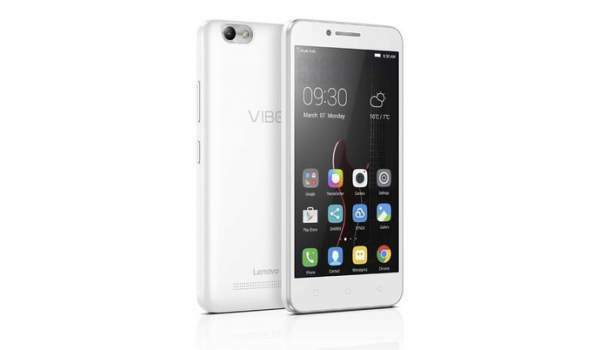 It has Android 5.1 Lollipop as its user interface (or Operating System) which is customized as Vibe UI. The device is made available to supports 2 SIM cards at the same time using dual standby technology as well as it has 4G LTE support. Let’s catch up more of its specifications and features. It has a 5 MP rear camera with f/2.2 aperture with a LED flashlight while a 2 MP front facing camera for taking selfies. It sports a 2,300 mAh battery which is enough for a day long usuage. Apart from dual standby and 4G technology, its connectivity features include WiFi 802.11 b/g/n, Bluetooth 4.0, GPS/A-GPS, and a microUSB 2.0 port. It comes in two color options – White and Black. The same device has launched recently in Croatia with a price of HRK (Croatian Kuna) 698. The device measurements are 136.1×67.8×9.9 mm and it weighs 128 grams. Apart from the VibeC, Lenovo has already launched a Cyanogen powereed ZUK Z1 smartphone in May 2016 only. It was earlier launched in China back in 2015. Moreover, it has upgraded it to ZUK Z2 Pro. Other news is that the company is going to launch it in China on 31st May. The earlier verisons of Vibe srmatphones have done really well business in India and other international markets. Last month, the firm announced that it sold over 500,000 units of the Vibe K4 Note which started selling in January 2016 in India. Along with it, the company has sold 100,000 units as per the company’s statistics of the Ant Virtual Reality (VR) headsets which were sold via Amazon India.